The great Álvaro Cunqueiro used to say that the San Froilán celebrations were “as mais belas do outono galego” (the most beautiful of the Galician autumn), and he should be right, since people come every year to the city of Lugo to enjoy (at least) a day of concerts and activities of all kinds counted by thousands. These festivities, held every year around 5th October (patron’s day), last for little more than a week. 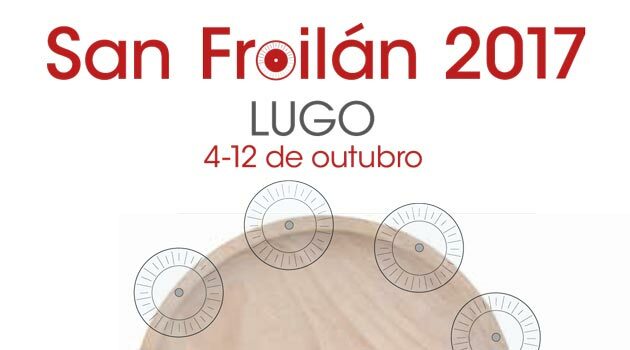 This year is between 4th and 12th October when they take place, although some of the events that are part of the San Froilán are extended more days. They are also one of the oldest festivals of the peninsula, as they date from 1754, the year in which they began to make a popular celebration to accompany the religious festivities that had taken place since many years before, and such is the importance which have been achieved over the years that, in 2006, received the cataloguing of Festivals of National Tourist Interest. Among this year’s concerts are the concerts of Goran Bregovic, Rosa Cedrón, Guadi Galego, Sés, Iván Ferreiro and Los Secretos, which will give the musical point to the desire of joy; but there is also time for other activities, such as “tapas” tastings, book presentations, magic shows and a wide variety of sporting events. It is worth mentioning the “Domingo das Mozas”, the Sunday next to the saint’s day, in which the Galician folklore and the traditional costume of the community are honoured. This day is, perhaps, the most important of the celebrations of San Froilán. It is, of course, the most multitudinous. In addition, until October 15, the IV GASTROARTE Handicraft and Gastronomy Fair will take place, in which many artisans arriving from all corners of Galicia and outside Galicia will exhibit their products. In another part of the city, another fair, the Antiques and Collectibles Fair. There are options for everybody. And for the little ones, “San Froilán Miúdo”, a series of activities planned for them and that include workshops, games, theatre and music. But you cannot speak of San Froilán without mentioning its traditional octopus huts, which offer this delicious delicacy in its most traditional recipe during the days of festivities and even in the days before and after as well. There are thousands of people who come every year to try the octopus here. This year, you have until 1st November to approach and taste it. Finally, the last day is reserved for the Medieval Fair in the Cathedral Square and its surroundings, which is a trip to the Middle Ages for anyone who visits and ends with a medieval banquet followed by a pyrotechnic show give the golden point to a holiday difficult to forget. Who knows it, also knows that. So before ending the holiday season this year, it is imperative to go through Lugo. You will not regret.